Charles Gadd was one of a family of famous golfers who lived on Malvern Common. He served with the Worcestershire Regiment in the Great War and was invalided out with a severe leg wound which was eventually the cause of his death in 1939. Charles was a fine player who made his mark in the local events held throughout Northumberland and Durham, winning most of the trophies to be played for. His name appears on every Alliance trophy - on some more than once - and he had held course records at Brancepeth Castle, Northumberland and Eaglescliffe. Charles’ war wound was so severe that it prevented him from putting weight on his left leg, but he adapted his game very successfully and, between the wars, he won twenty-five regional tournaments in his adopted North East and the prestigious Northern Professional Championship. The local newspaper said: “His victory was extremely popular amongst his brother professionals, by whom he is held in high esteem, as he is indeed by all golfers in the North of England. The new Northern champion provides a fine example of courage and determination, for he has never allowed a physical infirmity to keep him from his chosen game”. His name appears on every Alliance trophy - on some more than once - and he had held course records at Brancepeth Castle, Northumberland and Eaglescliffe. 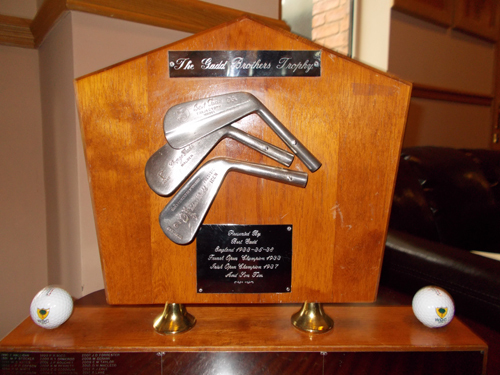 His 68 at Brancepeth was equaled a few weeks ago by W. Irvine, an amateur at Brancepeth. Charles was a fine player who made his mark in the local events held throughout Northumberland and Durham, winning most of the trophies to be played for. He was a courageous man and made light of the war wound, which shattered his left leg below the knee. It took half an hour each morning to bandage his leg before putting on the specially made boots he had to wear. The ravines of Brancepeth were a real and painful problem to him - nevertheless, it was at his home course that he had his greatest triumph, winning the 72-hole Northern Professional Championship in 1930 with a score of 294. In 1935 he had a round of 63, still the lowest score to be recorded at Brancepeth at the time of writing, but it was not an official competition and therefore did not qualify as the course record. Notes from John Cameron: Charles Gadd was not at Aberystwyth although he would have played there on occasions and was involved with their professional, Lewis who appears in one of the photos in their website, Aberystwyth Golf Club. In 1913 when pro at Aberdovey, Charles Gadd had played in a match at Machynlleth, then in Montgomeryshire, in which he partnered J. H. Taylor, the Open Champion of that year, against James Braid and Ernest Lewis of Aberystwyth. The match finished all square. It was the Aberdovey Golf Club where Charles took up his first appointment. The Aberdovey Centenary book, which briefly refers to his arrival at the club in 1914. "The Club already had a new professional as Charles Gadd had come from the Towyn Club to replace Cooper (the previous professional)". The Towyn club ceased to exist a long time ago and there is nothing in golf records about Charles being at Towyn, although George was the professional there so it is quite likely that Charles spent some time with him. The only other reference to Charles in the Aberdovey book is concerning his enlistment in the Worcestershire Regiment, "Charles Gadd also left as he had enlisted, and the committee took charge of his stock -'until you return, provided the articles are insured against theft and fire, and will hand over the proceeds of the sales according to your instruction'". Charles never did return to the pro's job at Aberdovey - Instead he went to Ipswich after he was repatriated to the Roehampton hospital and eventually demobilised. 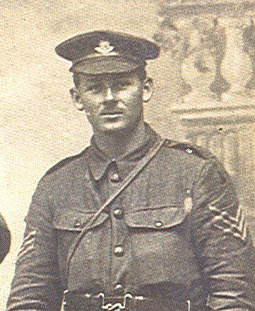 3530 (later 241110) Sgt Charles H Gadd served with the 2/8th Battalion of the Worcestershire Regiment, which was the second line Territorial Battalion raised in the county from Territorial Force soldiers from South Worcestershire (Worcester, Malvern, Evesham, Pershore, Droitwich, Bromsgrove, Redditch and Kings Norton). This Battalion landed in France in May 1916 and served in the France and Flanders theatre until the cessation of hostilities. Mr Gadd is not commemorated on a Malvern War Memorial. 'Mr F Gadd, of Malvern Common, has received notification that his son Sgt C H Gadd of the Worcester Territorials was wounded on the 15th October by a High Explosive Shell which, bursting a few yards away from him, fractured the shinbone on his left leg. Before enlisting in November 1914, he was a golf professional at Aberdovery. The Regimental History shows that on the 15th October the unit were in the Neuve Chapelle sector of France and had taken part in several rather unsuccessful attacks on the German line. On the 14th October the battalion had relieved its sister battalion, the 2/7th Worcestershire and made preparations to raid the German trenches. Six days of bombardment of the enemy's position ensued, and I would imagine that Sgt Gadd was wounded during a German counter bombardment. The raid went ahead on the 20th October and was again unsuccessful in the face of heavy opposition. 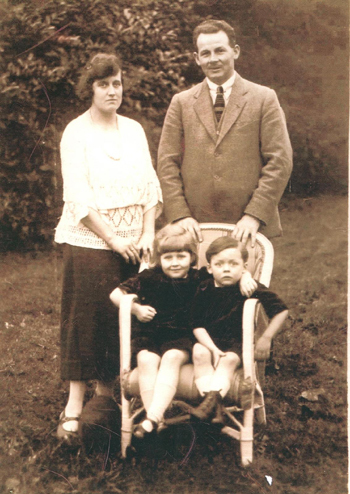 Born at Malvern, the Gadd family were brought up in a house on the local golf course and took to the game as children. Charles secured his first professional appointment at Aberystwyth when 17 years of age, and later was appointed to Market Drayton, and then to Aberdovey. He joined up in his county regiment when war broke out, and saw considerable service until he was badly wounded. Meanwhile his brother, George was still in the services, and when he was fit enough Charles was appointed to look after his brother's job at Roehampton, When George returned, Charles secured a post in Ipswich and in 1924 he became Brancepeth Castle's first professional golfer. During his 15 years with the Brancepeth Club Charles Gadd endeared himself to a host of golfers, amateur and professional alike. He was one of the best golfers ever to have been quartered in the North-East and had won every Northumberland and Durham competition it was possible to win. In 1931 he established a course record at Roehampton in the Invitation Tournament there and made progress in the match stage until his leg injury reasserted itself and he went out to Charles Whitcombe. In 1930 on his own course he won the Northern professional championship from very powerful opposition, and on five occasions he won the Northumberland and Durham professional championship. Notes: This obituary was probably written by Bert Gadd. It appeared in a local Brancepeth newspaper. In 2001 Bert sent a copy of it to Dr. Tony Biddle, the historian at the club, who forwarded a copy to me when I enquired about my grandfather in 2002. The obituary states that Charles' first appointment was at Aberystwyth but that information was not corroborated elsewhere. Charles Harry Gadd professional to the Brancepeth Golf Club since its formation in 1924, died this morning at his home at the age of 47. He was a victim of the Great War. While serving with the Worcestershire Regiment Gadd was severely wounded and periodically since his damaged leg has given him considerable pain. In the late spring of this year he went into the hospital, but the best of medical attention was of no avail and his untimely passing in the prime of life will shock very many golfers in the North-East and further afield. Charles Gadd was one of five brothers, all of whom are golf professionals. His elder brother George is professional to the Maiden Club, Jack Gadd holds a post in Bombay, Bert Gadd is at South Shields, and Reginald is at Market Harborough. From the obituary of John Reece, a leading west country golf writer and well known to golfers all over the south west. He first played at Durham City before becoming a country member at Brancepeth Castle. He played for the county colt’s side and enjoyed the company of professionals. “I would pay them £1 from my pocket money to have a round with them,” he said. “I never wanted to be a professional but I would have loved to have played for England.” He first walked onto a golf course in 1921 with a cut-down piece of hickory with a leather grip and polished head. “It was a wonderful way to grow up,” he recalled. He wrote his first golf story for a sports agency in Manchester when he was 16. He reported Brancepeth Castle professional Charlie Gadd’s win in the Northern Open on his home course. “The headline was ‘Good Gadd’, I was paid five shillings and I was still at school,” he related.